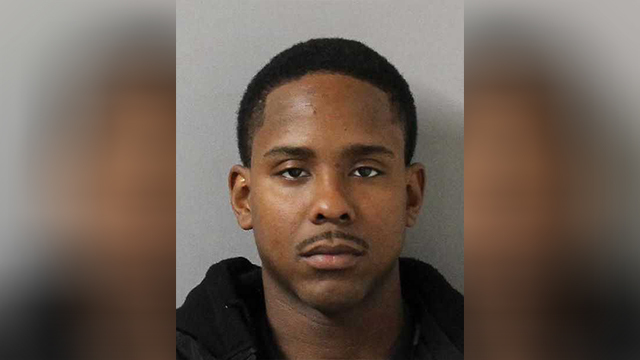 NASHVILLE, Tenn. (WKRN) - The man suspected of firing gunshots at a female employee in the drive-thru of a Hermitage fast food restaurant in 2018 has been arrested. Mark Jordan, 26, was booked Wednesday night into the Metro jail on charges of aggravated assault with a deadly weapon and vandalism. Metro police responded around 2:20 a.m. on June 4, 2018 to the Jack in the Box on Old Hickory Boulevard to investigate a reported shooting. According to an arrest affidavit, Jordan and Amy Austin went through the drive-thru and were "not satisfied with the food they received" and "asked if they could have fresh food." The woman working the window told the two they would have to go back through the drive-thru while the food was cooking, the paperwork stated. When they returned to the drive-thru window, police said Jordan tossed food at the employee. Investigators said video footage then showed Jordan fire one round at the victim from a small handgun, drive around to the front of the restaurant and fire eight more rounds, hitting the glass windows of the restaurant. The 25-year-old suspected driver, Amy Austin was already charged with aggravated assault with a deadly weapon, reckless endangerment and accessory after the fact. Jordan was released from the Metro jail on a $10,000 bond.